Welcome Marek. Nice little stash there. My son has a part built Priest too. I really should finish that for him. Well I have primed and laid down base coats of paint inside the Citroen. Will start the detail painting and then progress pics. Nice to see so many great builds here. Oliver, the Humber is soo cool. 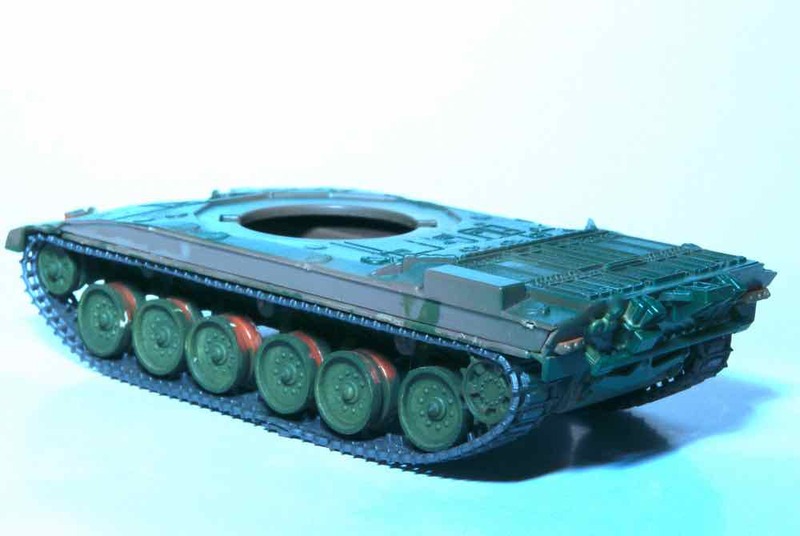 Tat, what a great way to improve the base dio on the Puma. AJB looking forward to the challenger, thats a rather scarce kit to see around. Nice camera there Peter ! 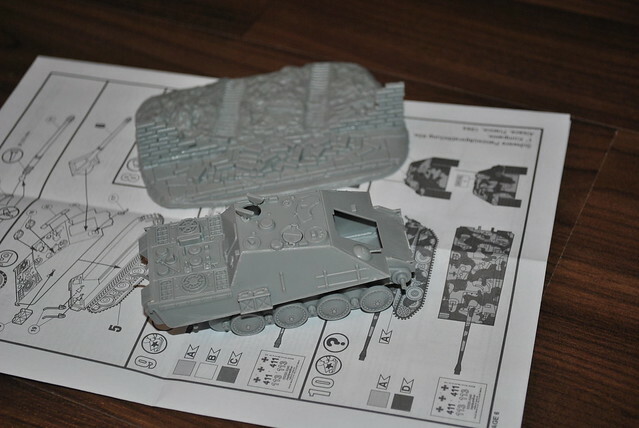 Some progress pictures on the Jagdpanther, so far its been an easy ride, but Im not happy with the rubber tracks. May have to replace them in the future, but so far I dont have any replacement. Thanks Jacob. Agree on the tracks, what I didn't like was the look of of the part where the ends meet. Now thinking about it, addition of schurzen may hide it. 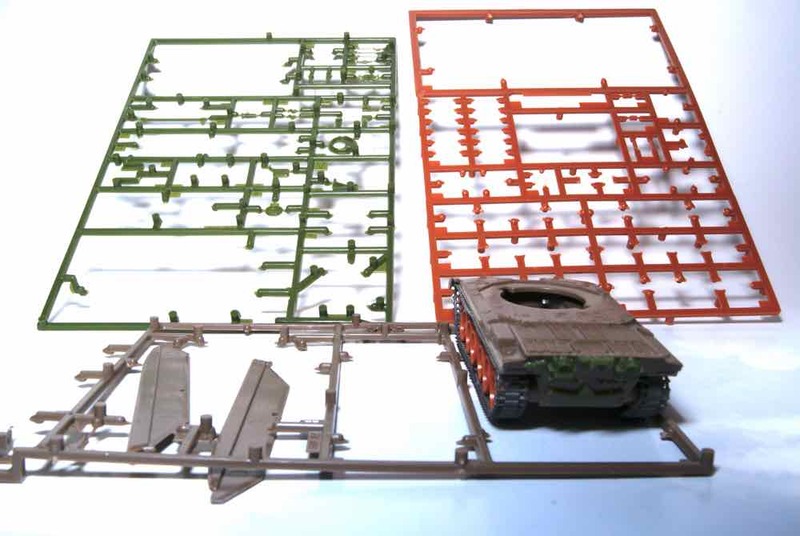 I'm not sure if there are 1/76 AM tracks available, maybe 1/72 ones may fit? 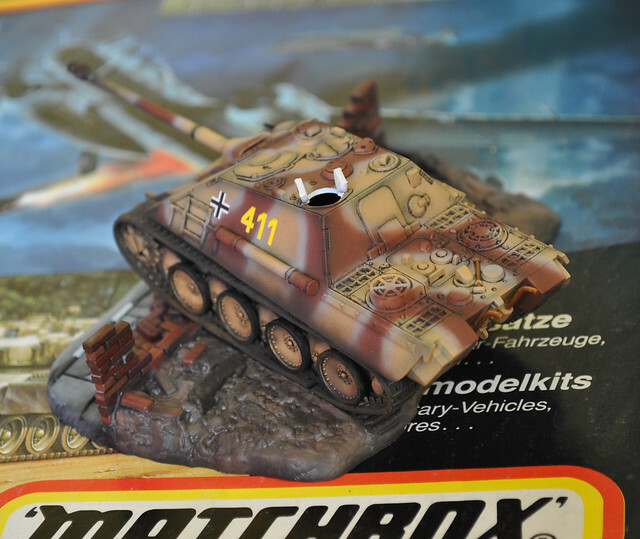 I built the Jagdpanther for the first Matchbox campaign and used pins attached to the hull to put some sag on the tracks. Looking good Jacob. I had a couple of these when I was younger. 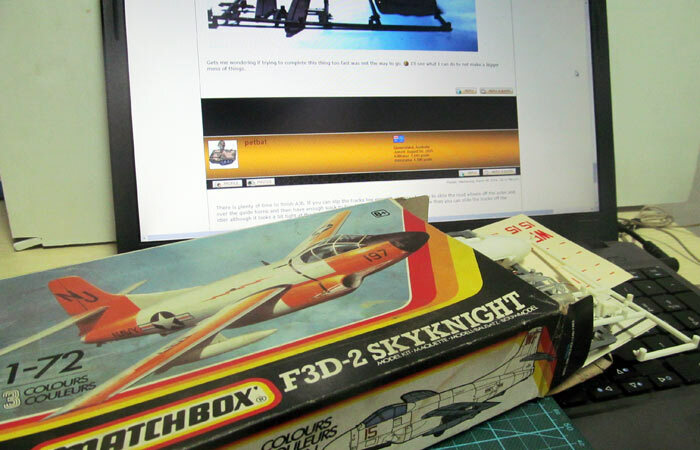 When I was a kid, I loved the insert, twist, no glue tracks, but yes, the join is not so good now. If I remember, the tracks have little to no internal face detail and very simplified face. I believe Revell's 1/72nd scale JP has Indy tracks that fit the kit. One suggestion is glue the tracks together, then when dry and fitted to the model, use some putty to fill the gap in the join. It should be stable enough to hold then. You could add some mud to break up the flatness of the tracks (and you can use that to hide the pin pressing the track down. like Tat suggested. Well at least some of you are making some progress but alas I haven't been one of you so far. I decided to focus on the Chally's body and have most of the pieces attached. In a case of one step forward and three steps back and without thinking I glued the upper body to the lover with the tracks dry fitted. So now it looks like I'll have to try to break it apart so I can paint the road wheels, DAH!!!! As you can see, I have most of the parts cut off the spures but not necessarily attached and in hind site painted. Gets me wondering if trying to complete this thing too fast was not the way to go. I'll see what I can do to not make a bigger mess of things. There is plenty of time to finish AJB. If you can slip the tracks low enough, you may be able to slide the road wheels off the axles and over the guide horns and then have enough slack to free it off the drive sprocket too. Maybe then you can slide the tracks off the idler although it looks a bit tight at the front fender. Otherwise painting in situ shouldn't be as bad as interleaved wheels. The side armour will cover some of the issues as well. Good luck whichever way you choose to go. Done. This was one of the few kits recently that I was able to build in one go basically over two weeks. It isnt the best kit out there and the tracks are especially poor but its sooo easy to build. 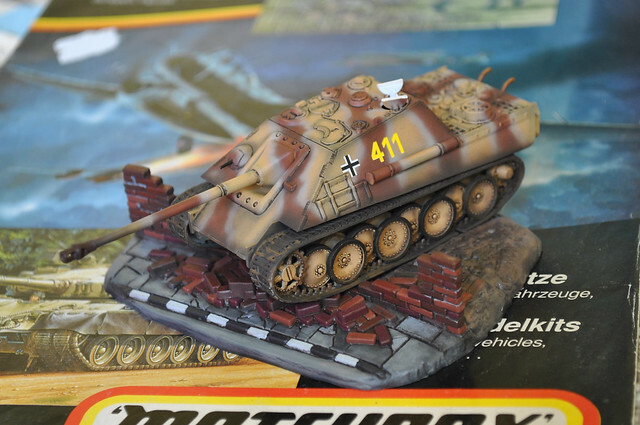 Not sure about the camouflage thou, this is done according to the instructions, but Im curious what is the point of the grey lines between the yellow and red-brown ? Well I signed up for this Campaign some time ago, and have finally been able to start work on it. My entry will be the venerable Hawker Siddeley 125/600 in three colours. Very Nicely done Jacob. It looks great. 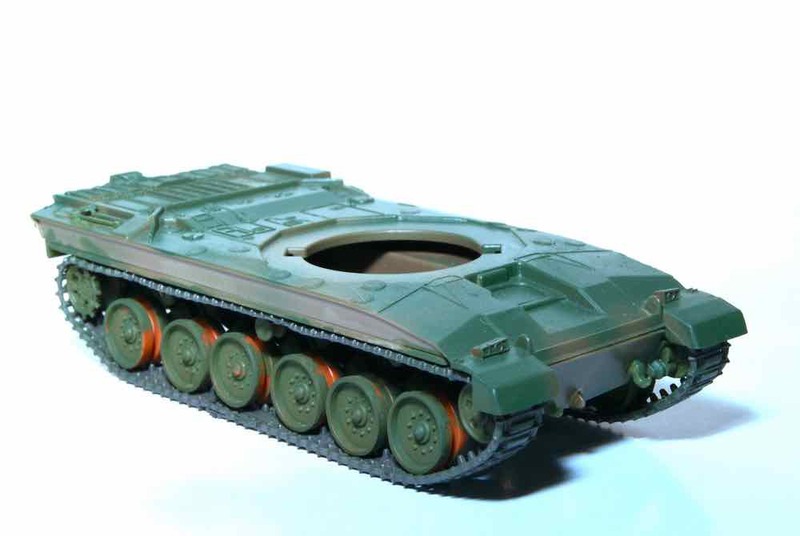 If I may though, the interior of the hatches on German vehicles were painted the same base colour as the vehicle so they did not stand out. These would have been dark yellow, not white, inside. As to the camo scheme, I seem to recall that either Saumur or Bovington had a JP they painted in this scheme, or possibly white instead of grey. A lot of people thought it a genuine scheme at the time, and likely Matchbox followed suit. Whatever the case, yours still looks great. I had a friend who built one of these. 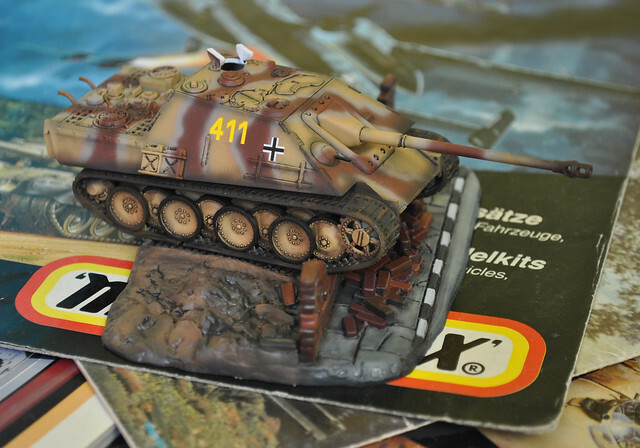 He used to wargame so added a Phoenix missile from an old Airfix kit onto the hull centreline for 'protection' ...…. 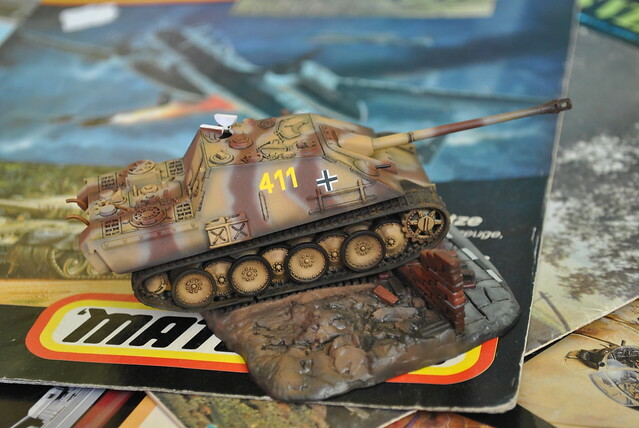 Jacob: Great work on the Jagdpanther and the base. I really like it a lot . Thank you you, glad I can get moving on this. That is just wrong, two Sidewinders would have been much more effective. I love building GA aircraft and Bizjets in particular, but this one will be RAF as I am doing a "History of the 125". I am actually building two of these kits together, but the Group Build one will be a -600 as I need to make new engines for the -700 and that won't be done in time. I am actually building two of these kits together, but the Group Build one will be a -600 as I need to make new engines for the -700 and that won't be done in time. Nice to see multiple kits getting built. Sounds like a couple of great builds. Graham, great to choice and looking forward to seeing your build. I had given some thought to build the 125 myself but then saw that my kits decals were probably unusable. Will have to look out for that sheet. 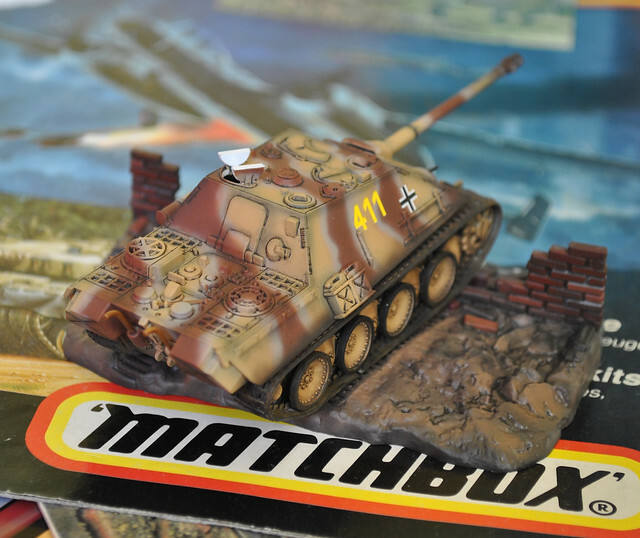 Still plenty of other Matchbox in stash to choose from in the meantime. Well, it's been a few years since I was called that! I'm giving some thought to the Saab Tunnan or Westland Lynx. Will have to have a proper look at the decals in the 125 to as that might be the deciding factor. 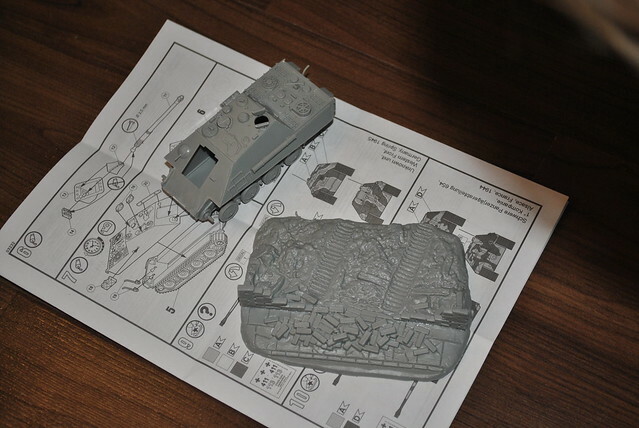 Is the Revell 1:76 Sherman Firefly useable for this campaign? I know that I have a lot of Matchbox kits in the stash but I'm not going to even try to look through the pile of boxes in the garage. 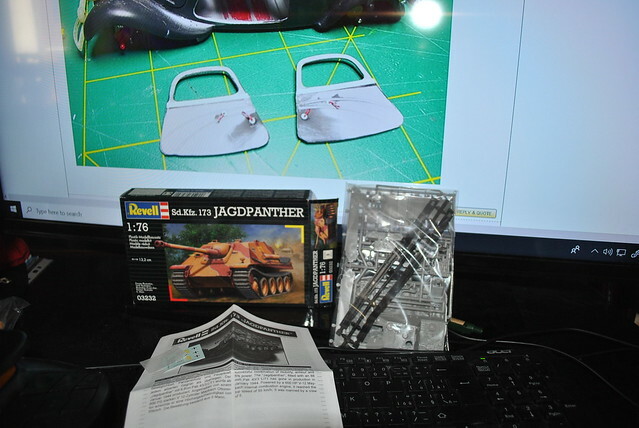 I did find this kit in the box where I located the kit I'm currently working on for the MBT campaign so I was wondering? 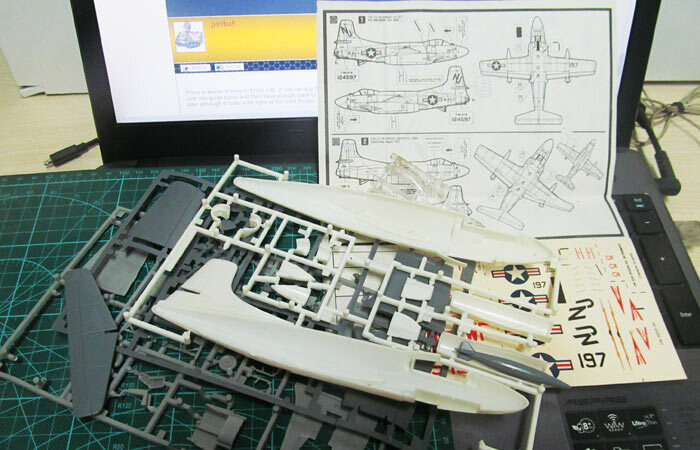 Eddy, the Revell 1:76 Firefly 03211 kit is fine for this build. It is a rebox of the old Matchbox kit and fits perfectly within the rules. Welcome aboard. Thank you for your quick reply, much appreciated. I won't be able to get started until this coming Friday the 25th as I have a few things to get out of the way first, but as soon as I'm done it's clean sailing to the model bench at full speed. I hope! Been checking things out here and it's very inspirational to see a lot of the kits being put together that I once had as a kid a long time ago . . . most of them were unpainted but I remember the fun I had building them. Well that kind of sums up the view of most everyone here - and one of the reasons it is 'Memories of Matchbox'. It's is all about the plain simple fun we had back then, and maybe expanding on what our current skills might add.